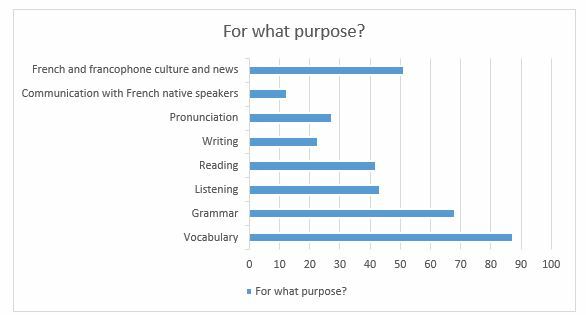 Teachers in our department noticed how often students ask ‘How can I improve my French?’. Students are indeed eager to find interactive ways to improve their French outside of the classroom. Doing homework is often considered as a tedious and compulsory work asked by the teacher and students don’t see it as interesting or engaging. Because most of today’s students constantly use their smartphone, tablets and computers throughout the day, using mobile apps and online resources are a great way for them to practice their French in a fun way, without finding it boring. Moreover, they can choose what area(s) they want to work on, whenever and however often they want. However, if mobile apps and online resources offer a wide variety of ways to learn a foreign language, it is often confusing to know where to begin with. Both students and teachers lose a considerable amount of time trying to find THE right resource, without being sure of its efficiency and qualities. 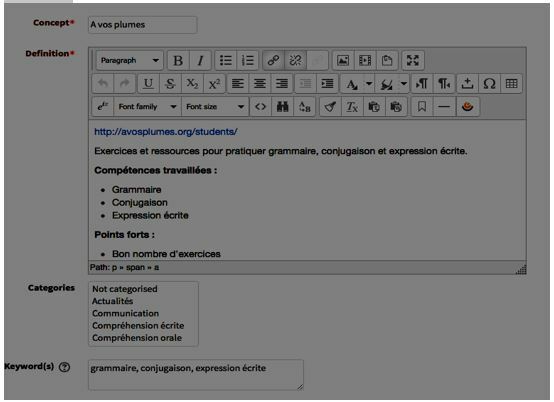 With this in mind, I thought it would be very helpful to produce a reference document listing (but more importantly critically assessing) a variety of online resources and mobile apps for different areas of French language learning (lexis, grammar, listening, reading, writing, pronunciation, French and francophone culture and news). My E-learning Assistant, Anousha Bonnemaison, helped me research, test and review online resources and mobile applications in order to produce this document, using the glossary tool on QM+. This reference document will be circulated to students of French in the School and will allow the French Dept. and SLLF to further develop its E-learning provision and to enhance students of French’s overall learning experience. The Glossary Tool on QM+ is pretty straightforward to use. Students can browse the entries alphabetically or by category, and can search through the entries if they already have a specific resource in mind and want to know more about it. 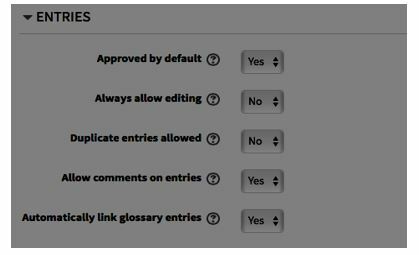 Moreover, the use of the Glossary Tool allows the guide to be more interactive, as students can review, rank and comment on the entries. We hope that they will use it to share any other resources they find useful, so that the whole community can benefit from each other’s experience and suggestions. Anousha created a questionnaire to get to know students’ use of apps and online resources. 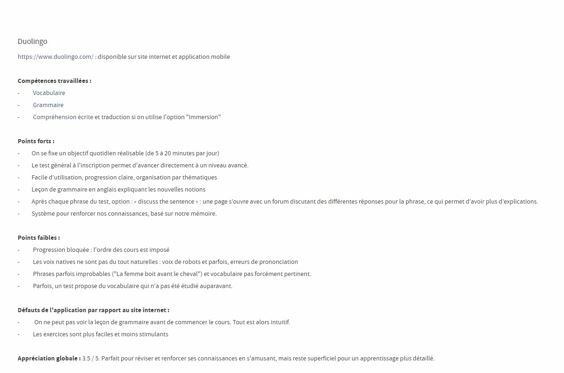 Do you think a guide referencing and ranking online resources and mobile apps for French language learning would be useful to you? Why? Do you use online resources and/or mobiles apps for foreign language learning? Whether you use them or not, can you name a few online resources and/or mobiles apps that you heard of and/or think are useful for foreign language learning? The aim of this guide is to be interactive: would you be likely to comment on our reviewed resources and/or to contribute your own links? Anousha then analysed all of the answers to make her search more effective. 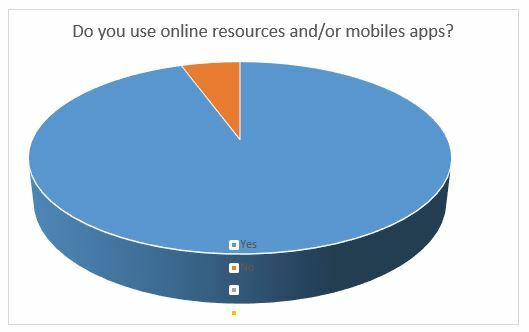 Figure 3 – Statistics: do you use online resources and/or mobile apps? 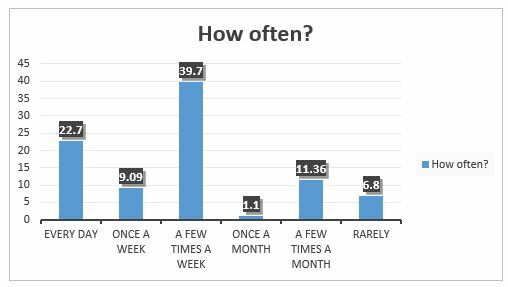 Figure 4 – Statistics: How often do you use mobile apps/online resources? 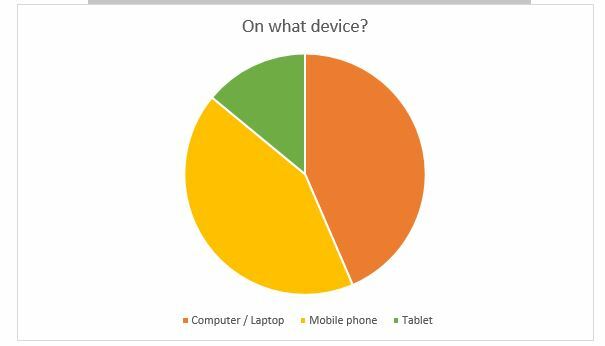 Figure 5 – Statistics: On what device do you use mobile apps/online resources? 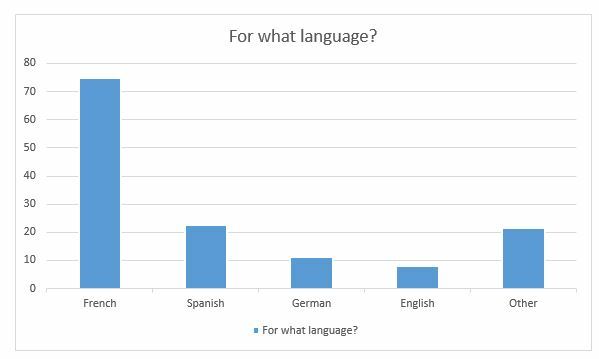 Figure 6 – Statistics: For what language do you use mobile apps/online resources? Figure 7 – Statistics: For what purpose do you use mobile apps/online resources?? Those results proved that students are indeed using mobile apps and online resources to learn / improve a language and thus would be likely to make a good use of the glossary tool we were about to produce. Moreover, it helped us pinpoint which area the students were using mobile apps and online resources for, which was useful to focus our search on students’ interests. 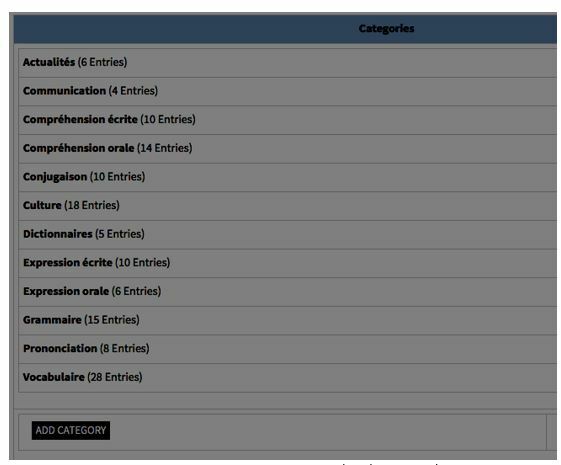 Thanks to this, Anousha was able to create categories on the Glossary Tool, under which the entries were later organised. Anousha also made a list of the online resources and mobile apps that the students named, which allowed her to have a good sense of what students already know and/or use. She thus started her reviewing work with the resources already listed. For resources such as Duolingo, Babbel, Busuu, that required to register to access the courses, Anousha created an account and started using them pretending she was an English speaker learning French. Unfortunately, a lot of websites/apps are not entirely free and Anousha was not able to try all of the lessons and activities on offer (for a fee) in those cases. Other resources such as online dictionaries did not require to create a profile. Thanks to her excellent knowledge of both English and French, and her experience as a French language tutor, she was able to be a good judge of the positive and negative aspects of each resource. For each resource, she first created a Word document in which she noted down all her comments. Those notes then helped her write the review to be published on the Glossary Tool. When doing so, she already organised her comments under positive and negative aspects she found. She also wrote a short summary of what the resource was about, and listed the skills the students were going to be able to improve by using the resource. To find more resources, Anousha used search browsers and read reviews on blogs and websites. Some of the resources she found were not relevant enough to appear on the Glossary Tool. Anousha also had to take into account the number of entries she would write: we thought that too many entries may be off-putting for students, who may then think that there was too much for them to read. Moreover, she made sure the reviews were short and concise, and she did not write full sentences but used bullet points instead to ensure students would find using the glossary easy and user friendly. Indeed, we want students to effectively read our reviews and we don’t want to overwhelm them with too much information. The key was to get to the point quickly and only make a note of the most striking aspects of each resource. After her reviewing work was done and the reviews written on Word documents, Anousha started to create entries on the Glossary Tool. To do so, she first checked the general settings in “Edit settings” on the left-hand side. She took a special interest in the “Entries”, “Appearance” and “Ratings” settings, as shown in figures 7, 8 and 9. 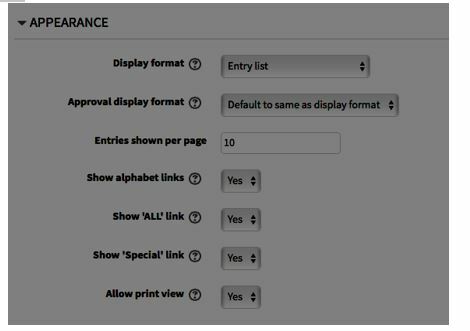 On the appearance settings, Anousha chose settings such as the display format (Entry list) and the number of entries shown per page. On the ratings settings, Anousha chose the scale and the type of ratings. For each entry, as shown on figure 10, Anousha wrote the name of the resource under “Concept” and the review under “Definition”. Then, she chose the right categories and wrote a few keywords. Anousha and I regularly met to talk about her progress with the project. I checked and approved her entries. When she needed technical help, she was able to contact Richard Chantler or to read the online guides about the Glossary Tool. create one file that lists all the resources + 1 file for each of the review, and then copy / paste into the entries on the glossary tool. keep the review short, concise. Avoid full sentences, write bullet points.